MEXICO CITY, Jun 20 2018 (IPS) - Twenty-five years ago, Mexican engineer Gustavo Rodriguez decided to collect rainwater to solve the scarcity of water in his home and contribute to the care of natural resources. “We did it to seek a better integration with the care of nature. We wanted to have a sustainable home,” this resident of the indigenous town of San Bartolo Ameyalco, on the west side of Mexico City, told IPS. 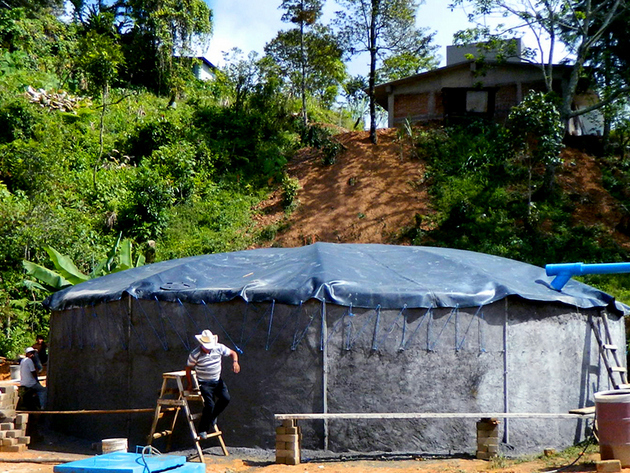 Rodriguez installed a roof catchment, cistern, filters and piping, a system that retains 90 cubic metres (m3) of water and meets for at least seven months a year the water needs of the 12 people who live in three houses on his land. “We use between 80 and 90 liters per person per day,” said Rodríguez, who has also incorporated a biodigester to generate biomass as energy to increase the sustainability of his farm. San Bartolo Ameyalco, which means “place of springs” in the Nahuatl language, with a population of some 20,000 people, is supplied with water from a spring connected to the local water network which it feeds. But many people lack piped water, even though tjey pay for it. “There is trade in water in tanker trucks and this has caused tension with its management. There is access to water, but not all people receive it and this is because the valves are manipulated to get people to pay political favours” in exchange for the supply, said Rodriguez, who has not received piped water for four months. 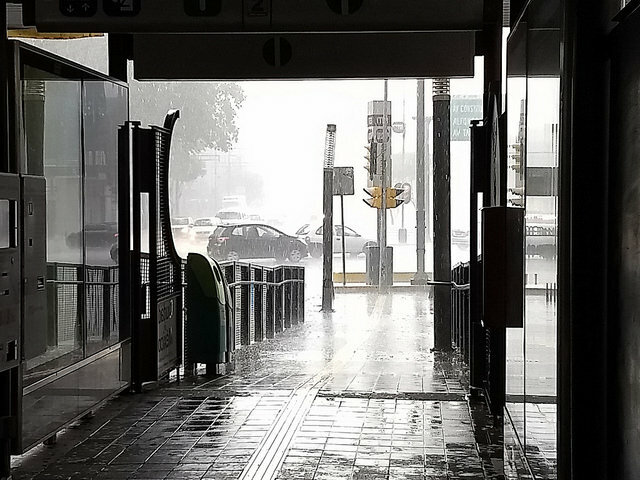 Rain can help this Latin American country of 130 million people to cope with the water crisis projected by experts from 2030 onwards, while it is currently causing floods, landslides and generally ending up in the drains. At the same time, it can help Mexico achieve the goal of ensuring availability and sustainable management of clean water and sanitation for all, the sixth of the 17 Sustainable Development Goals to be met by 2030. The country receives an estimated 1.45 billion m3 of water per year in the form of precipitation, according to Mexico’s Water Statistics 2017. Of the rainfall, 72 percent evaporates and returns to the atmosphere, 21 percent drains through water bodies and 6.3 percent infiltrates the subsoil and recharges aquifers, of which 105 out of 653 are overexploited. Between 1981 and 2010, 740 millimeters of annual rainfall fell on this nation, while in 2016, rainfall rose slightly to 744 millimeters. Data from the government’s National Water Commission indicate that the average natural availability of the resource fell from 18,035 m3 per inhabitant per year in 1950 to 3,687 m3 in 2016. Despite the decrease, availability is not a problem, according to the parameters set by the United Nations, which establishes that a country with less than 1,000 m3 per inhabitant per year has a shortage of water and a country with a range between 1,000 and 1,700 m3 per person of water supply suffers water stress. Data from the non-governmental Oxfam in Mexico indicate that almost 10 million people have no water in their homes, in violation of the right to water established in the constitution since 2012. In addition, Mexico is highly vulnerable to the effects of climate change, such as prolonged droughts and heavy rainfall within a wet season that traditionally goes from May to October. Several studies foresee a water crisis by 2040, especially from the centre to the north of the country. There are 8.8 million people living in Mexico City proper and more than 20 million in Greater Mexico City, and on average almost 16 m3 of water per inhabitant per day are extracted and only about 11 are replaced. Water shortages prompted Matilde Jiménez to seek rainwater collection for her home in the Cerrada del Bosque Xochitonalá shantytown in the Santa Cruz Alcapizca neighbourhood of Xochimilco, one of the 16 boroughs into which Mexico City is divided, on the south side of the city. “We didn’t have water, and a neighbour heard about the Isla Urbana organisation, their people visited us and registered several neighbours to get collectors installed,” Jiménez, a homemaker who is studying creative writing, told IPS. After paying 150 dollars, her home, where she lives with her husband and three children, now has a collection system that has provided them with about 11,000 litres since its installation, which covers more than five months of consumption. They no longer have to spend money to buy water from the tanker trucks. Rainfall reduces the need to obtain or import water from conventional sources, allows for the creation of supplies at specific locations, and does not depend on the traditional system, thus reducing the vicious circle of dependency and crisis. Seven out of 16 boroughs in the capital suffer from water insecurity, calculated from the degree of marginalisation, access to water and distribution of the resource, according to the non-governmental organisation Isla Urbana, a pioneer in the promotion of rainwater harvesting in the country. This organisation estimates that 21,693 hectares of rooftops would contribute 16 million m3 per month. The city consumes 32 m3 per second, so rainfall could provide 20 percent of that demand. Water scarcity has led several organisations to develop rainwater harvesting systems in remote areas of the country, such as the social enterprise Neta Cero. “There are communities without access to water. What we are doing is solving these problems with these systems that represent a very important source for these communities,” its founder, Tirian Mink, from the United States, told IPS. This social entrepreneur, who created the organisation in 2013, recalled how he himself built the first “spring-roof” that year in the town of Palo de Marca, in the municipality of Huautla de Jiménez, which has a population of over 31,000 people and is located in the southern state of Oaxaca. “It was in a preschool, it was a very important learning experience. We installed it in a couple of weeks with local materials, the tank was filled in less than a week,” said Mink, who chose the site because of the high levels of water stress and heavy rainfall and where nine systems already operate to provide a supply of water to the community. The water is stored in tanks with a capacity of between 200,000 and 500,000 litres, at a cost of between 4,800 and 146,000 dollars, depending on the complexity and size of the facility, and with a total capacity to collect up to five million litres. Neta Cero has already connected 2,315 systems in four states since 2013. The Mexican government is implementing the National Programme for Rainwater Harvesting and Eco-techniques in Rural Areas, which in 2017 was implemented in 94 highly marginalised areas in eight of the country’s 32 states, with the installation of 944 rainwater harvesting systems. 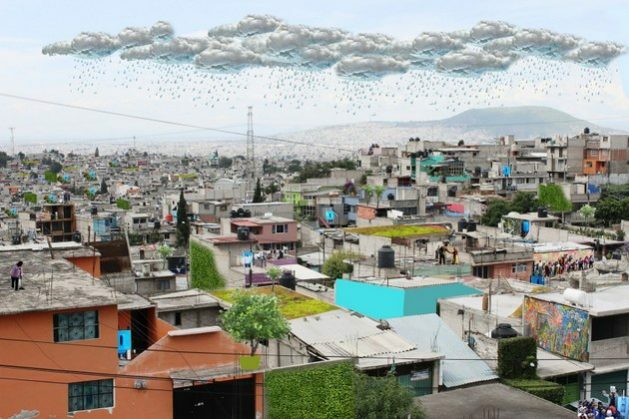 The government of Mexico City has also installed hundreds of rainwater systems in an attempt to alleviate the crisis that threatens to worsen in the long term. Engineer Rodríguez proposed the promotion of rainwater harvesting. “There is little awareness, aggravated by political patronage. Politicians need to be aware of the problem and its solutions. The problem is not technical, it is social, a problem of governance. There is a lack of incentives,” he said. Mink proposed more funding for the installation and maintenance of systems. “We seek interventions with greater impact with the least investment. The biggest impact is achieved with large systems, but one difficulty is that the water service is free of charge so there is no maintenance. That is a challenge, and to have sustainable systems” environmentally and financially, said Mink.